Your weekly personalized road map for fundraising. Provides a road map for your week: who to call or meet with to solicit a gift, who to steward, and who to follow up with. 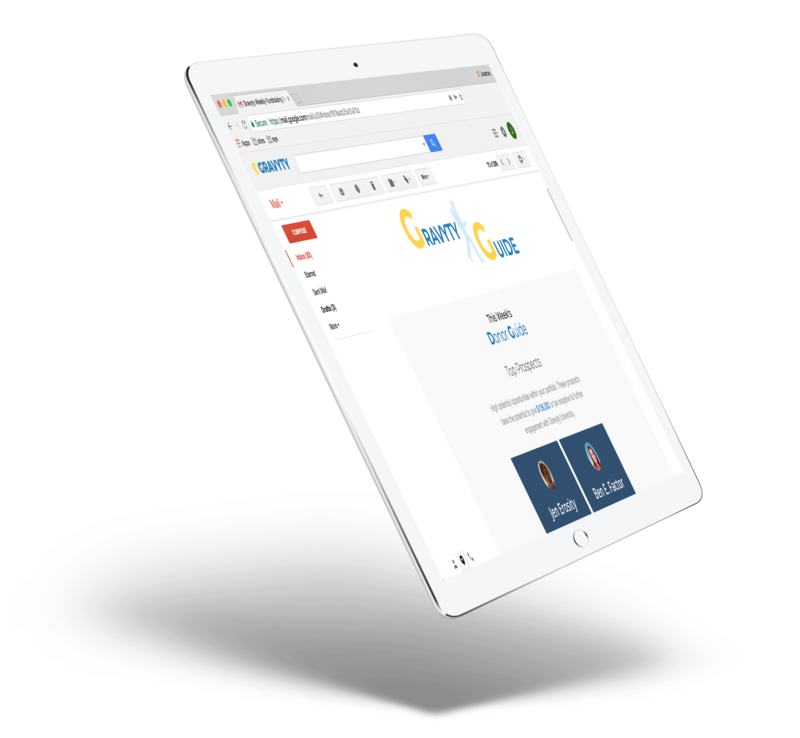 Saves you time so you can manage more prospects and relationships. Ensures you focus on the right donors at the right time and make the best asks with machine-learning-generated ask amounts. How amazing would it be to arrive at work each week with a plan for your outreach? Meet Gravyty Guide! 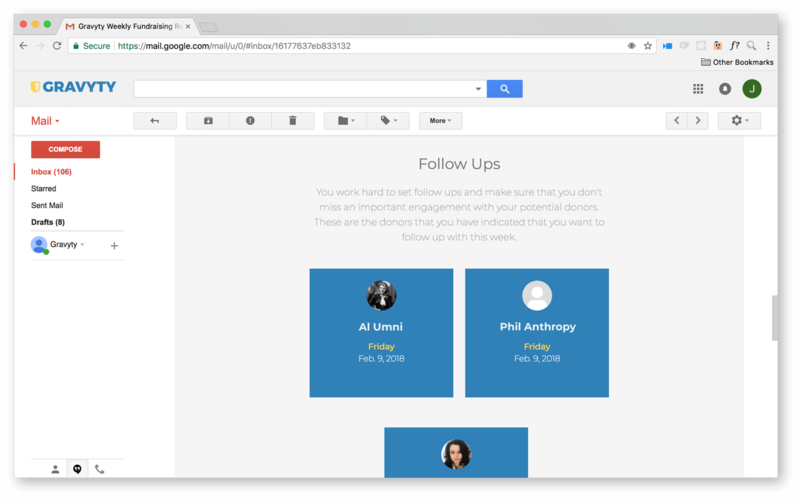 This weekly digest email helps you more efficiently manage your portfolio so you prioritize the right donors at the right time and raise more money. 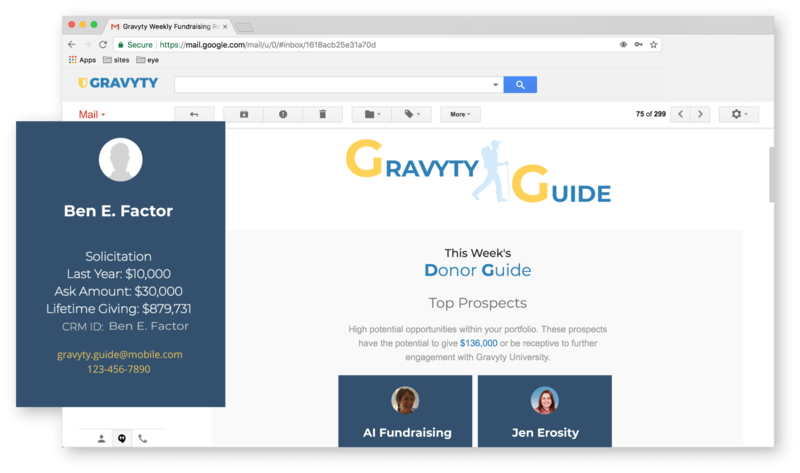 Get insight on top donor prospects, recent givers, and follow ups!